Chicken tikka with pilau | Life's Conundrum - Eat to Live or Live to Eat? If you want to introduce your children to spice – here’s a simple recipe for chicken tikka which has lots of flavour but none on the heat. 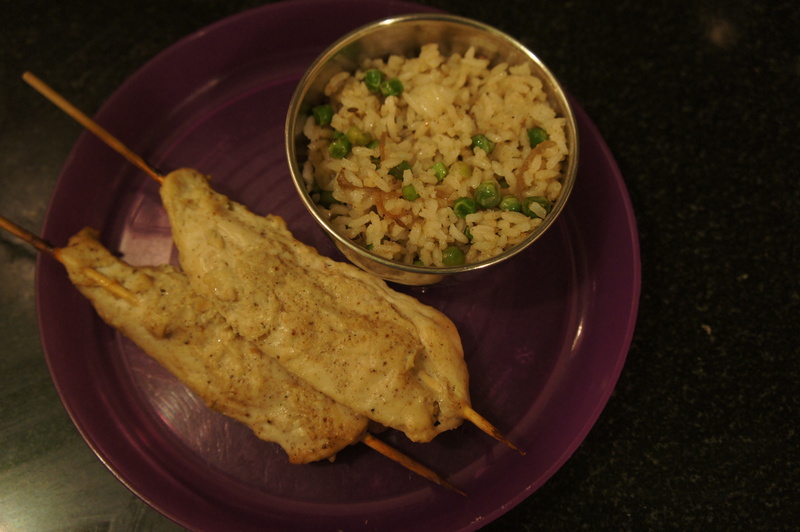 We served it to our kids with some peas pilau – plates came back clean so we assume they liked it. We normally make pilau by sauteing some whole garam masala (green cardamom pods, cinnamon sticks, cloves and bay leaves), cumin seeds, onion and raw rice before cooking in a rice cooker. 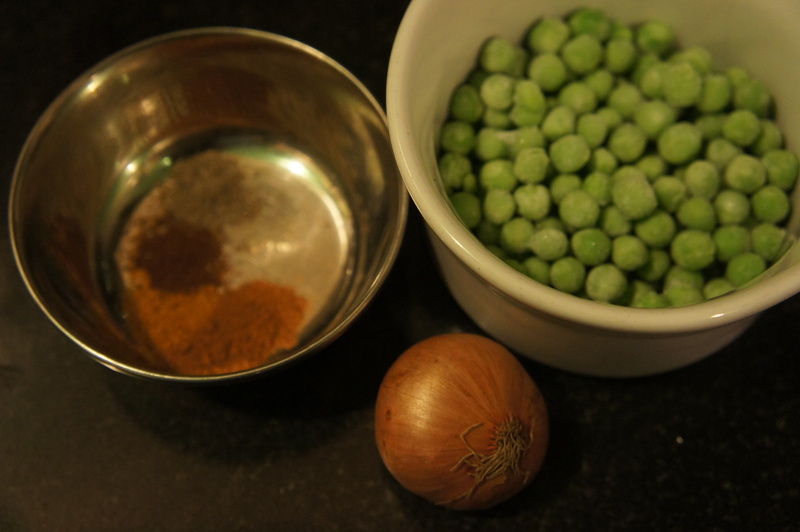 We decided to try something different for the kids inspired by Chinese fried rice – we heated some ghee and added a pinch of cardamom powder, mace, cinnamon powder, ground cloves and fried off a small sliced onion before adding a half a cup of frozen peas (heated in the microwave first). After a couple of minutes we added half a cup of cooked rice with some salt – mixed everything together and then switched off the heat. 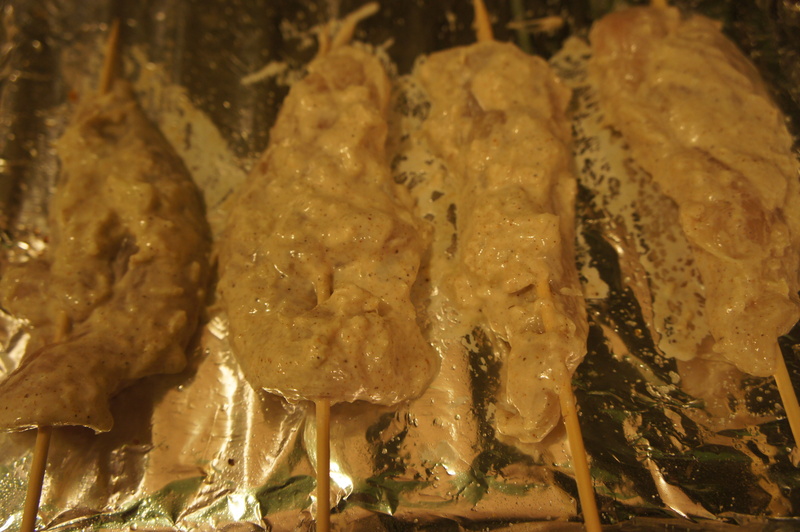 Mix all the ingredients in a bowl and let the chicken fillets sit in the marinade for as long as you can. Skewer the fillets and bake in oven at 200 degree Centrigrade for 30 minutes or till done – turn the skewers over half way through the cooking process. Serve hot. Posted on January 13, 2014 by Anna and Shiv	• This entry was posted in Kids meals, Recipes. Bookmark the permalink.